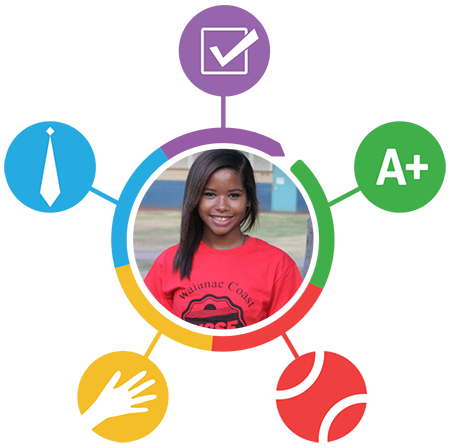 Imua is a tool that empowers education organizations to track student progress and help guide them toward achieving their educational goals. From academics to professional development & more. Simply select which categories your organization wants to track. Imua customizes itself to your needs. Imua's "Progress Circle" is a powerful way to visualize how well a student is progressing through your program. It also displays a quick break-down of how well a student is doing in each expectation area assigned to them. 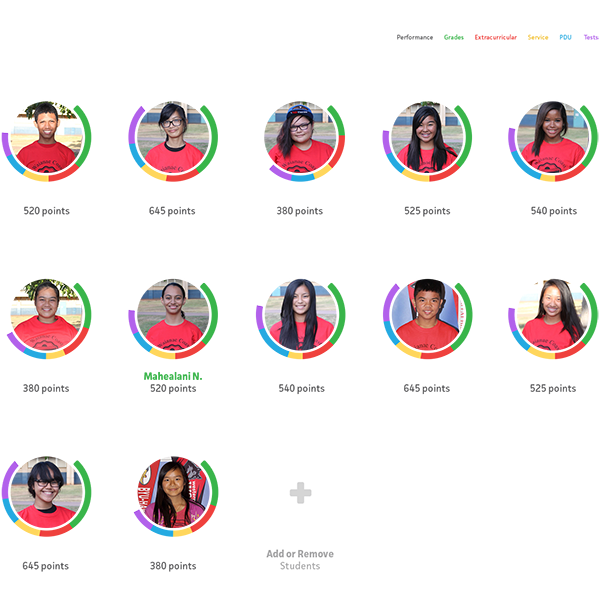 Imua's progress circle becomes even more powerful at a group level. Sort & compare student's progress to find out what's working, what's not. Clicking on any student takes you to a powerful break-down of their individual progress over-time. No more searching through spreadsheets and emails for clues. 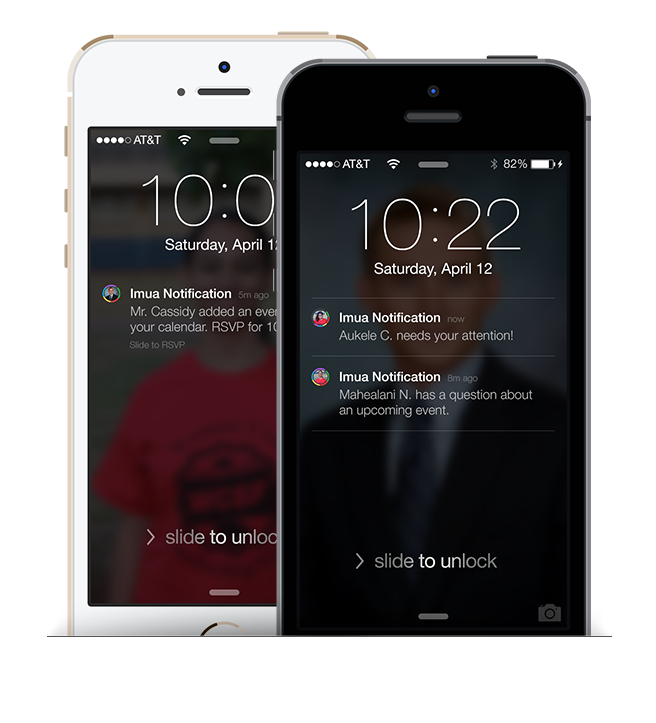 Imua knows when a student needs help and automatically brings it to your attention. From the other side of things, students are always kept up to date on whether they're meeting expectations. Ask questions, send messages, push calendar events and more. Imua opens up powerful channels for instant mentor-student communication.